Over the next six months this data, along with tracking of feral cats (to identify den & shelter sites, seasonal movements, social groupings and dispersal patterns) and studies on the relationship between the numbers of cats, other predators (including introduced rodents), native mammals and habitat will provide excellent base line data for the area at and around the Neck. Other areas such as Whalebone Point are also being studied. This research will identify the most effective long term control of feral cats while minimising by-catch and will determine if other invasive species need to be managed as cat numbers are reduced. Based on monitoring shortcomings of other island feral cat control programs, the federal government noted that this baseline data is essential to achieve the best long term outcomes for Bruny. It has been disappointing that a number of cameras have been stolen over the shearwater season and we encourage people to be alert to, and report any suspicious behaviour. In addition, the cameras have documented many people entering the Neck rookery off the dedicated viewing area. This can potentially adversely impact on the seabirds and it is always good to remind people of the sensitivity of these areas. Plans are proceeding for the Cat Holding Facility at Alonnah which should be operational by the end of the year. This will enable any trapped cats to be checked for microchips and assessed for rehoming or euthanizing as appropriate. Kaylene Allan from the Kingborough Council is keen to talk to all cat owners before the proposed by-laws come into effect, to discuss any issues that may arise for individual owners. If you have a cat living or visiting Bruny, I ask you to contact Kaylene on 6211 8284 to arrange a chat unless you have already met with her. Preliminary community consultation on the proposed domestic cat by-law is complete and formal consultation will occur next year once the legal issues and enforcement policy is finalised. • Potoroos are abundant on Bruny compared with monitoring undertaken elsewhere in Tasmania by TLC. • The near absence of cats on North Bruny. • The abundance of Eastern Quolls (especially on Nth Bruny). • If bettongs and bandicoots are present on Bruny, they are in very low numbers ( and perilously close to extinction). This provides a strong case for cat management, especially due to the vulnerability of island species. We would love to hear from you if you have sighted these animals on Bruny. • Rarer animals (e.g long-tailed mouse, dusky antechinus, white-footed dunnart) are not being picked up with this camera monitoring approach. 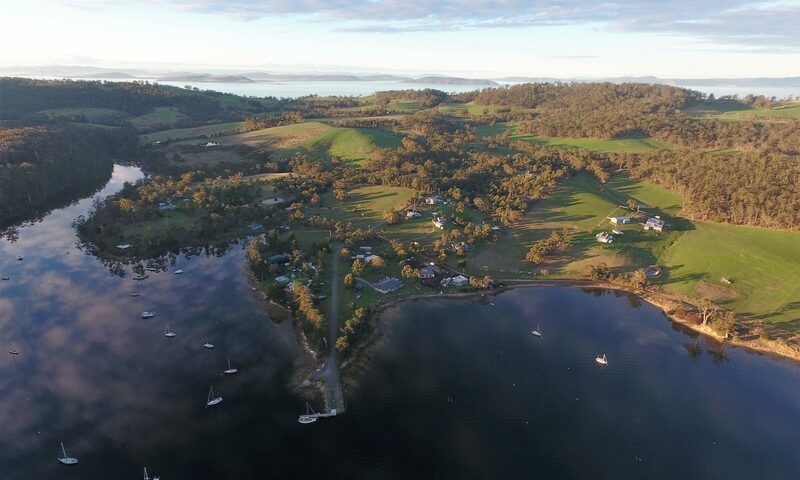 The more detailed information is being collated by Tasmanian Land Conservancy over winter and they will report back to the property owners and contribute information to a wider project across other areas of the State. The data will be entered into the Natural Values Atlas of Australia. Many participants are keen to continue to be involved with some purchasing their own cameras.